Crafty Southern Mama: SHOPPING...Back to School Style! My kids will be back in school the first week of August. then eight weeks off in the summer. My kids wear uniforms to school, polo shirts in any color...logo no bigger than a credit card, bottoms in navy, khaki or black...easy as pie! you can spend a fortune if you're not careful! Polos, Khakis & Shoes...oh, my! I've learned it's worth it to spend a little bit more on certain brands. Sure you can pick up polo shirts at Walmart, Target & even grab cheap steals on them at Old Navy, but unless I hang everything to air dry (um, & I'm not) these brands just do not hold up with my kids! 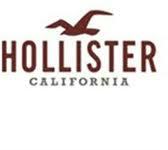 My kids pick Abercrombie or Hollister. (just not at full price). I HATED this at first! I need a gas mask to shop there! don't even go in there...ha! I shop online & get great deals ALL the time! 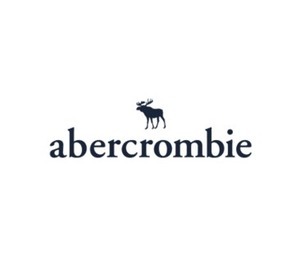 Right now at Abercrombie Kids they're offering 50% off redlines AND Free shipping on orders over $100. You can get polos for $12.45 in the Clearance section right now! Seriously, I have seen USED polos selling for more than that on ebay! OUTSTANDING quality (& they come in FAB colors too)! I'm pretty sure Abercrombie & Hollister are owned by the same people, their quality is equally exceptional...but I have found the bulk of my best deals at Hollister for Big O (who is wearing mens LARGE shirts & sz 32 waist short, AND sz 13.5 shoes now...BIG O indeedy)!! For Miss O this year, I decided to give Aeropostale a try. They have girls polos in their clearance section for $5.99! 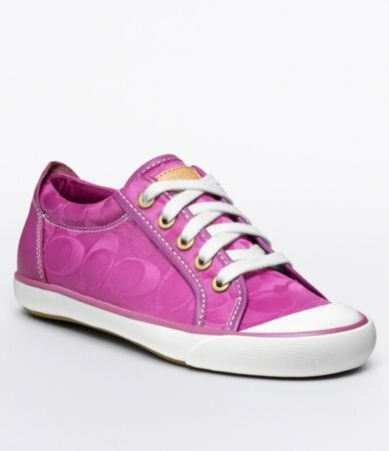 Aero also has a great little kid section too (PS from Aeropostale). This shop is a Big Crumbs vendor (the big version of Aero is not, yet...I'll keep watching for it). If you become a Big Crumbs shopper you will receive a percentage of your purchase back...this is an AWESOME, awesome site (tons of great stores)...I'll have to blog more about them another time. I LOVE these NO IRON needed, awesome shorts! For Miss O, I get Justice brand uniform shorts. She is thick in the middle, so most regular sizes just do not fit her in the waist. The half size at Justice is PERFECT! 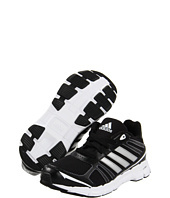 These ended up being $17.84 ater I used the 40% off code (784) at checkout. I've also had good luck finding bottoms for her at JCPenny, but haven't been impressed at ALL with their quality for the money...tisk. For Sneaky E...he is notorious for wearing a polo with a popped collar, so school uniform season is a dream come true for this child! 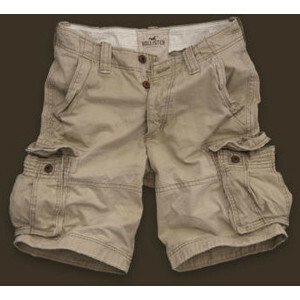 I did grab some fun cargos for him at Gap Kids for $12.99 (they must be gone, I'm not seeing them on there anymore). Really more than anything he was needing new socks & underwear for school! Oh, dear...how I hate shoe shopping with children! I would rather head to the office & demand a double root canal! AND simple, painless FREE returns! I love them to the moon & back!!! This year Miss O's friends are all the sudden COACH crazy. seriously...size 13.5 this year...that child is too big for his britches!! (he is so fashion conscious, he cracks me up). they were on my porch the following morning. Adidas Kids quality is fantastic, I've been very pleased with every pair we've ever had (can't say the same for New Balance, sadly...love those shoes, but my boys kill them every time). 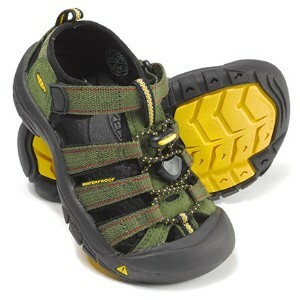 Keen Sandals...that run like an athletic shoe! (& will resell on ebay nicely when they're too small, yep). That's about all I buy other than backpacks & school supplies. This year E wanted a ROLLING backpack & I was able to snag a Nike version in his favorite color from Macys for a great deal (Macy's, also Big Crumbs). Both the O's needed new backpacks, so I ordered them from Under Armor (ahem, Big Crumbs again...earned $12.08 back on that one purchase, I might add). Any good sites or deals to share? I love to find a good deal, don't you! it's time to get our house ORGANIZED for homework & papers!!! Happy Back to School Shopping, Friends! I really enjoy blogging & all you sweet blogging friends! Thanks for the tips on the sales!! Our district voted "no" on uniforms (grrr) but I love my boy in a Polo!! At the time, I didn't realize how lucky I was when our school went to uniforms...with Olivia every day is a fashion war, I am SO thankful that she HAS to wear what they tell her to!! 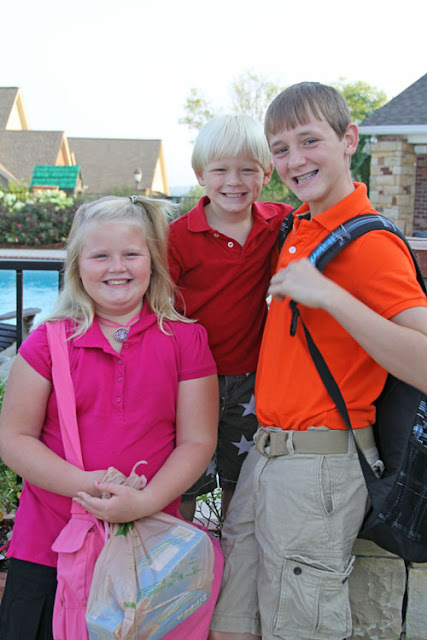 My children attend a catholic grade school and wear uniforms. I hit the big uniform sale at Old Navy. I do hang air dry all uniforms. They have also wore uniforms from Children's Place and JCPenney's before. With four children, I have to search for great deals. 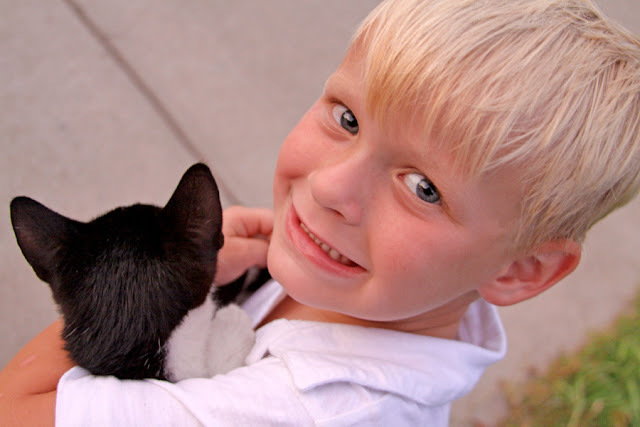 Back to school puts a huge dent in our budget for the month. Today I made them go through school supplies to see what we could use again such as markers, bottles of glue, colored pencils, etc. I hate throwing away good supplies that are not all used up. Michelle, you are so right...I tell my husband it's similar to going hunting, except I am hunting to save money & find the best deal for the quality...dressing children is a FULL TIME JOB! ha! 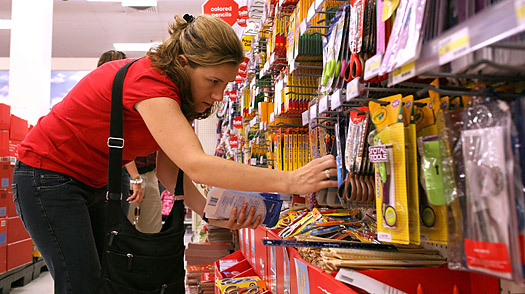 I got our school supplies yesterday & wanted to cry because it was so ridiculously expensive!